ARCHOS, the French pioneer of consumer electronics, today makes it easy for consumers to own a beautiful and powerful smartphone for less than €300. The ARCHOS new Diamond, that comes in a stylish bezel-less design, with its pop-up camera and its in-display fingerprint reader, packs a magnificent 19.5:9 6.39” AMOLED display and a powerful configuration, thanks to its octa-core chipset boosted by its 4/128GB RAM/ROM combination, running Android™ 9 Pie. It will be available from May 2019 at €299. 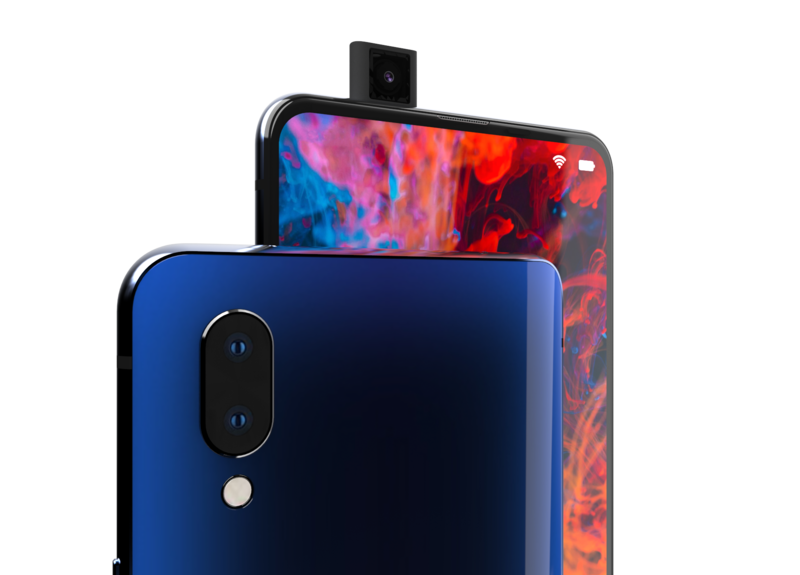 To keep its new Diamond borderless, ARCHOS has chosen a mechanized pop-up camera, the system being rated for more than 300,000 slides. It also features an in-screen fingerprint scanner. The ARCHOS new Diamond houses a 19.5:9 6.39” AMOLED display delivering a FHD+ (2340×1080) resolution with 404 PPI and covering more than 90% of the front surface. It is vibrant with punchy colors, deep blacks and brilliant whites. Its glass is heat-strengthened and laminated, for keeping it protected from potential damages. The ARCHOS new Diamond is powered by a octa-core MediaTek Helio P70 SoC, including CorePilot, Imagiq, NeuroPilot, Pump Express, Pump Express Wireless, Response Time Enhancement technologies, making it powerful and supporting even more complicated AI applications: human pose detection, intelligent multi-threading scheduler, in-depth mapping performance, high-resolution depth engine. Its octa-core processing unit is boosted by a 4/128GB RAM/ROM configuration, expandable via Micro SD card up to 1TB. The ARCHOS new Diamond boats a dual-camera set-up comprised of a 16MP main sensor with f/1.8 aperture (Sony IMX 499) and a secondary 5MP shooter (Samsung 5E9). It embeds an 8MP Samsung front camera, with a 3264×2448 resolution and a f2.0 aperture, benefitting from many different shooting modes: AI, Portrait, Video, Photo, HD, Beauty, Pro. The ARCHOS new Diamond can even recognize people, scenes and objects, almost instantly, which makes content sharing on social medias even more fun. In terms of connectivity, it embeds 4G LTE and WiFi 5G, USB Type C, boosted Bluetooth 4.2 and NFC, compatible to Google Pay, for peer-to-peer transactions, allowing users to send and receive money as well as to proceed with instant payments very easily*. 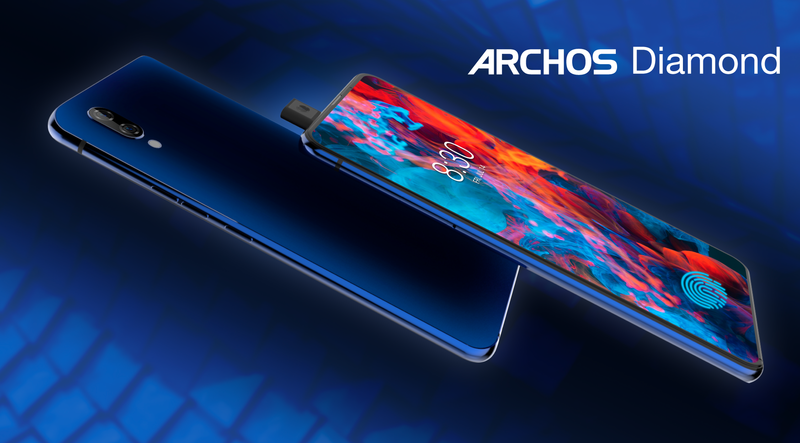 The ARCHOS new Diamond‘s 3,400mAH battery can be easily recharged and optimized thanks to its USB Type C charger and its wireless charge capacity, not forgetting the conjunction of its power efficient processor and the battery saver mode of Android™ 9 Pie. Users can thus enjoy a full charge achieved in about an hour and a half. The ARCHOS new Diamond will be available throughout Europe in May 2019 at €299. The HP Chromebook X2 is the best Chromebook released in 2018!